A week of unschooling. Ah, change is constant. Love how my youngest got involved with the Nerf gun fight, see bottom right hand corner of photo! So we’re figuring out this whole home/un-schooling thing. It has ups and downs. The important thing to bear in mind (for me) is to always be working towards a happy balance. Everyone has their own way of doing things and as I try things out with Aaron I am discovering more of what he wants and likes. He likes structure. He likes to learn. He likes to use up his energy. He loves to read. He likes maths. He likes free time on the computer. To begin with he was very reluctant to do anything that involved others. I can see his confidence and happiness growing and generally being more open to the idea of joining in with others. Yay. But the best thing was his attitude. It’s like he has grown up, happily. He’s motivated and is really taking things on board. His humour is getting better too! he read every day - he’s really into Percy Jackson at the moment. 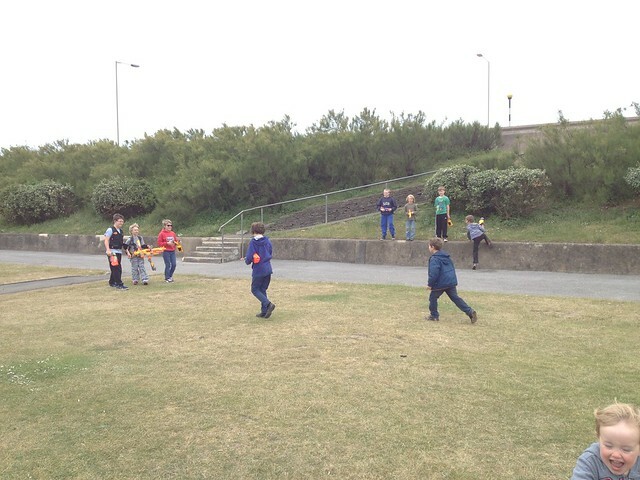 on Friday we had a meetup at the park for a Nerf gun fight, it was lots of fun for them all, about 10 kids showed up. 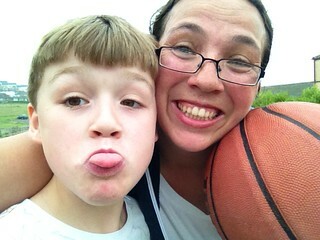 we did our own one-to-one sports session, twice. Tennis & basketball. Each included fun challenges like balancing the racquet or racing each other around the court. I do this to get myself running too. Aaron beats me at the short running races, but only just, and not for long! one morning I was ironing a shirt for his dad, he was watching me intensely. I asked him if he wanted a shot and he jumped up happily at the opportunity. He ironed 5 of his shirts! Woo hoo! So that’s a week lin the life of an unschooler!